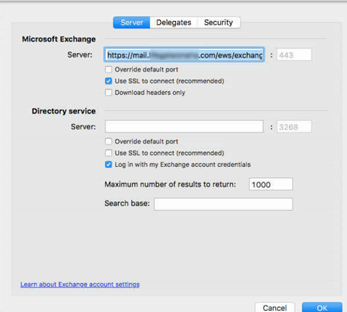 When changing your primary domain, you will need to change your email server on Outlook 2011 Mac. 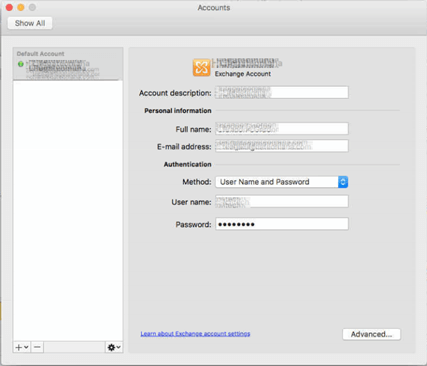 This document explains how to keep your account, but change the email server hostname in Outlook 2011. If you get a message similar to below, you may have the wrong domain listed. Try to change it to the new domain. Select Outlook, Preferences and click Accounts. You'll see your name, email address, and username in the Accounts window. Click Advanced at the bottom right to see more details. Within the Advanced screen above, change your mail server to the new server name. All other settings can stay the same. Click OK, and close the Accounts window. You may get a prompt to enter your password again at that point. Just to be save, select Outlook, Quit Outlook to completely close Outlook and relaunch it.